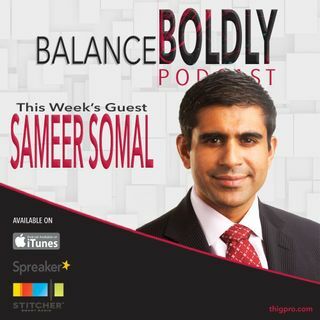 Special Guest Sameer Somal joins the Balance Boldly Podcast to talk about how to be a person of constant value to friends and business partners by learning how to be a genuine leader of learning. He shares his insights about leadership, risk-taking, and making the most of your life by being selective about your time. He also shares how he connects with others as he establishes relationships and the significance of giving and giving back to the community.